Ideas are what new business growth is all about. But how do you plan for and get your team fired up to generate more ideas? How can you get the people around you to be more innovative and creative so you get the ideas that will bring the business growth your so desire? That’s where Dr Jo North from the Big Bang Partnership comes in. She’s this week’s guest on The Next 100 Days podcast. Jo was just back from helping a Gibraltar based business transform their business thinking with innovation and creativity. It was there that she lost her voice. So the recording is Jo with a rather squeaky voice. Jo does not do change for change’s sake. It is about continually evolving and differentiating. The ideas that businesses have are the things that set them apart. For Jo, it is about staying ahead of the curve and continually evolving. People are often so busy doing their day job. So it is a challenge to think differently about what you are doing. It means you may need to change processes. It is about a mindset. If you can see the vision, it helps. How can things be different? What does Jo do to help people get better at Innovation? First of all, Jo explains a little about how the mind works. WE CAN ALL BE BETTER THINKERS. Sometimes we think the best route to get from A to B is the direct line. If you choose that route then you will only get the most OBVIOUS solution. Your ideas will be at their most obvious! So, what is an idea? An idea is when two thoughts come together for the first time. How do you have ideas? They come from your head. So the stuff you put into your head, will effect the thoughts you have. The quality of questions we ask, really helps out thinking. What are the types of questions that we should be asking ourselves? such as How could we? How might we? How could we reduce the time to market by 6 weeks? Asking these questions creates possibilities in minds. Play around with different solutions – not committing yourself, just giving yourself permission. Get Jo’s DIY Team Away Day Toolkit Takes you through the agenda and how to do an away day. How to sift the ideas you come up with? Jo advises using a simple How hard or Difficult it will be plus the potential returns from the idea using 2×2 matrix (Ease of Implementation/Potential returns). This is explained in the DIY Away Day Toolkit. Careful, the brain takes the path of least resistance. So, you need to get yourself into a place or state of mind where you are relaxed. You need to relax your FRONTAL LOBES. They are gatekeepers of thinking. They stop neural connections around the brain. Be relaxed and enjoy yourself. So when do you get your best ideas? When we are busy we are not tuned into conscious. Kevin charges his clients for dog walking. A checklist of actions to work through to FORCE you to think differently. Going offsite is part of the process. It changes the mentality. Ask and answer those great questions we talked about earlier. ELIMINATE that the competition are offering? REDUCE that the competition are offering? RAISE IN TERMS OF STANDARDS that the competition are offering? CREATE THAT NOBODY ELSE that is offering? Take something out, but combining. Steve Jobs said it was about combining and connecting things. Be careful NOT to prematurely evaluate the idea? Like me, about the fish n chips in Jo’s new style restaurant. Think different and see where it takes you. Make sure you can brainstorm the idea. Let people know what is going on. Cut and stick newspaper cuttings to combine thoughts. 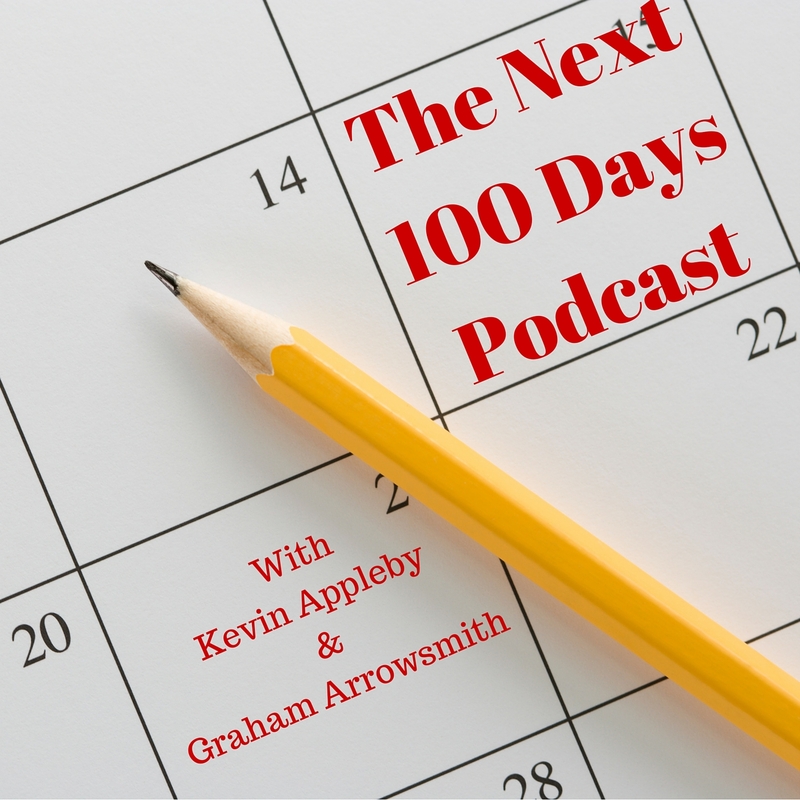 The Next 100 Days – What can you get done, with new ideas? Momentum is important – every day or every week. Also take a look at IDEA TALK on ideatime.co.uk where there are blogs about all these techniques. On her programme, Jo helps unsticking stucks. Have focused attention, every day. 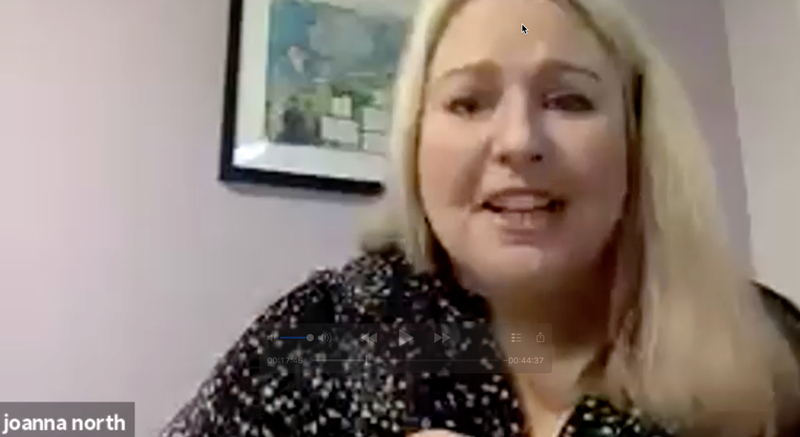 Sorry about the quality of the video on this podcast – BT Super Fast Broad Band – in Ripon – clearly a rubbish service! Jo wants to help a lot of people.